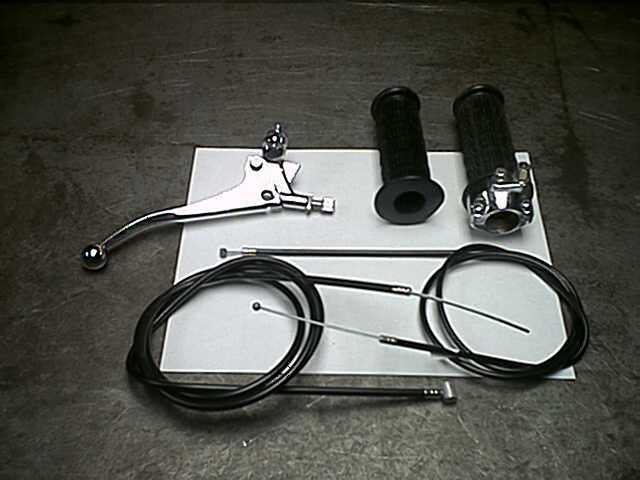 For more mini-bike related items go to the Azusa Engineering web site. We either have, or can get, any item in their catalog. 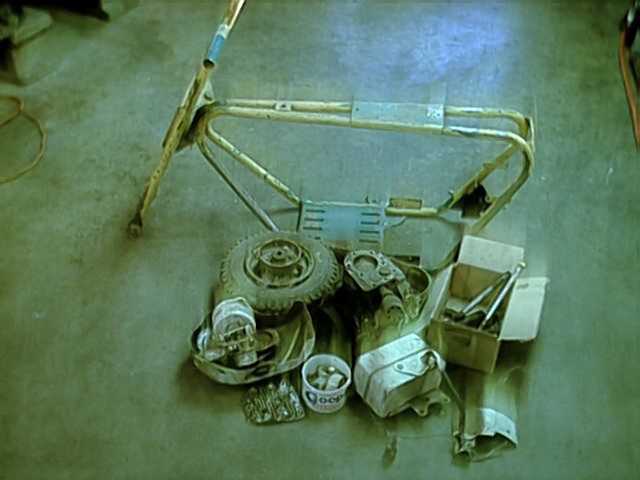 If you have a pile of parts like this...We've got everything you need to to get it back in into action. If you don't see what you need for your bike listed below, don't hesitate to e-mail or call and ask about it. This is just the tip of the iceberg. Be sure to check the link to Azusa Engineering. Here's a picture of the restored bike back in action. Please note that the prices listed below were from 2004. They are shown as a relative reference. Call for current price and availability. MBCK-1 Same as above except fits 1" handle bars. 226-224/257 Twist grip/dummy grip assembly for 7/8 handlebars. 260-232/258 Twist grip/dummy grip assembly for 1" handlebars. This extra long ATV cable comes in very handy for solving a variety of control cable problems. It has a ball molded on one end and a barrel on the other as do all of our other cables listed above. It can be adapted to use with our 1731 brake lever with an optional brass barrel. E-mail or call for details. 264 Brake cable, barrel on one end, nothing on the other, conduit 60" and inner wire 65". This switch fits best to a 3/4 inch diameter tube. Ask for a quote on a 10ft. box. #40 is the Heavy duty version of #41 and #420 chain. All three of these chain sizes use the same sprockets. Ask for a quote on a 10 ft. box. 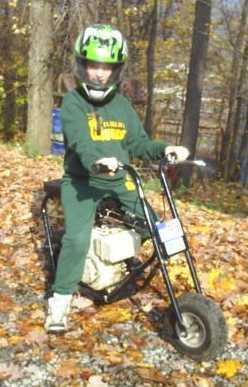 #420 is commonly used on a lot of yard and off-road karts that are presently being produced. #25 chain is the most commonly used chain on the scooters that are currently being produced. We stock and handle many more items for mini-bikes, mini-choppers and yard/off-road karts.